While Bulgaria hosted a forum on Eco-innovation for air quality this week, its citizens are denied the right to clean air. Bulgaria has some of the dirtiest air in Europe, yet its citizens are not allowed to go to court and claim their right to clean air, warns Ugo Taddei. Ugo Taddei leads the clean air project at ClientEarth, an NGO using the law to change society’s relationship with the environment. Air pollution is a crisis that has been smothering Europe for years, and that, until recently, has been largely ignored by European governments. But the tide is slowly turning – the main drivers behind this being ordinary people and environmental and health groups. Across Europe, they have been suing their governments for failure to comply with air quality laws. Bulgaria has some of the dirtiest air in Europe. It has the highest concentrations of urban particulate matter (PM2.5 and PM10) of all EU member states. The European Environment Agency estimates that three out of four Bulgarian citizens are exposed to concentrations of pollution above EU standards. This makes Bulgaria the country with the highest rate of premature deaths attributable to fine particles, with more than 13,000 premature deaths estimated per year. In April 2017, the Court of Justice of the European Union (CJEU) ruled that the country failed to fulfil its obligations under EU law to reduce the level of particulate matter in the air below the limits set under the Ambient Air Quality Directive 2008/50/EC. Bulgaria has declared that during its current Presidency of the Council of the EU it will make air quality “a focus” of its presidency. In fact, the Bulgarian Presidency hosted an “Eco-innovation for air quality Forum” aimed at finding eco-innovative solutions to tackling air quality. Meanwhile, citizens are not allowed to go to Bulgarian courts to challenge the failure of local authorities to comply with EU air quality laws. If the Bulgarian Presidency is serious about tackling air pollution, then letting citizens and NGOs claim their right to clean air might be the appropriate first step. the right to substantive review – i.e. the right to demand judicial scrutiny of content of the plan. Relying on these CJEU precedents, which are binding on national courts, ClientEarth is pursuing a wave of clean air cases together with citizens and Non-Governmental Organisations (NGO) across the EU. Successes have been achieved before UK, German, Italian, French and Czech courts. A growing host of judges across Europe are protecting people’s right to clean air and holding authorities accountable. 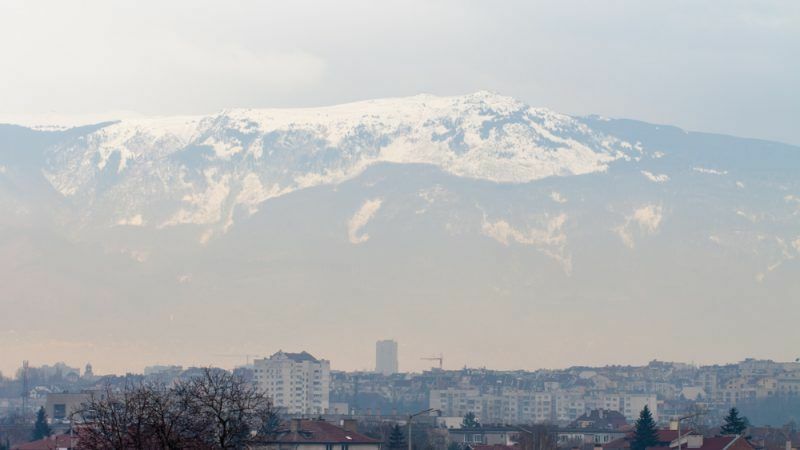 As have many other citizens across Europe, a group of local citizens and Bulgarian NGO Za Zemiata –started a legal action to have Sofia’s air quality plan quashed for its inadequacy to comply with EU law. The claimants never got the chance to discuss the flaws of the air quality plan in court, as the case was succinctly dismissed, first by the Sofia Administrative Court and then – on appeal – by the Supreme Administrative Court. Both courts deemed that citizens and NGOs do not have the right to challenge the inadequacy of the measures to tackle Sofia’s air pollution problems. The Bulgarian courts refused to follow access to justice principles, binding EU rules, and well-established case law of the CJEU and national courts, which all demand standing for citizens and NGOs to enforce the right to clean air in court. Citizens and NGOs in Bulgaria are not alone in facing access to justice obstacles. In Poland, the Regional Administrative Court in Gliwice denied the right of a local resident of Rybnik, in the Silesia region to challenge the regional air quality plan. The court claimed he did not have the legal right to do so. As in Bulgaria, Polish procedural rules on standing prevent citizens from protecting their right to demand effective air quality plans from authorities. Both ClientEarth and the local resident have filed an appeal against the ruling. The Polish Supreme Administrative Court has now a final chance to redress the contradiction between Polish procedural rules and well-established access to justice rights under EU law. Europe is waking up to the air pollution crisis and increasingly making air quality a priority. As citizens become aware of its unacceptable health impacts, judges in many EU countries are protecting people’s right to breathe clean air. Bulgaria and Poland are lagging behind, not only because of their levels of pollution, among the highest and most dangerous on the continent, but also for the practice of their courts, which is denying their citizens the right to demand effective action to solve the problem. Access to justice is at the root of the rule of law: it is the main tool to hold authorities accountable for their failure to comply with laws, including environmental and air quality rules. People are the ones who suffer the impacts of bad air quality as they go about their everyday lives. If the Bulgarian and Polish government want to make progress towards cleaner air, they should start by letting people claim their right to clean air in court.